When you think of Indianapolis, a few things probably come to the forefront of your mind, including the Indy 500, Peyton Manning, and the gorgeous art & museum scene. This is a city that has unique energy coupled with certain characteristics that make it truly special. After you satisfied your mind with the iconic Indianapolis Art Museum, you can start exploring the incredible food scene the city has to offer. While you sip on tasty craft brews, you can enjoy a wide variety of local flavors. From famous steakhouses to renowned delicatessens, you'll find a meal for any budget. With thousands of items in stock at our Cleveland warehouse, we are ready and waiting to provide you with all of the Indianapolis restaurant supplies. No matter what type of kitchen equipment, bar glassware, restaurant flatware, food preparation tools or professional cleaning supplies you need, you'll find it in our online store. Our dedicated and knowledgeable team strives to provide quick and reliable service to all of our customers, which means we will do our best to provide you with fast shipping (just 2 or 3 business days in most cases!) so you can get the products you need to keep customers coming back for more. Whether you need supplies to open a new restaurant in Indianapolis, Indiana or you are looking to refresh some of your old restaurant equipment pieces, we have the ultimate resource to help you reach your goals: The Dean Supply Reference Guide. This catalog is packed full of the latest trends, the best products, and information on top manufacturers. 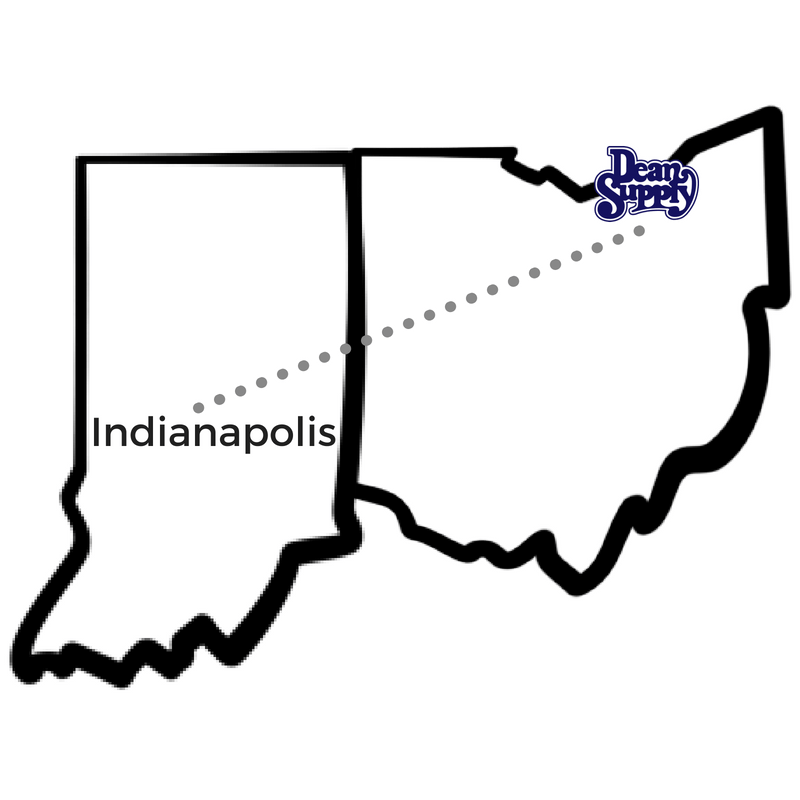 If you're wondering where to buy restaurant supplies in Indy, Dean Supply Co. has you covered!